Known as the “Pearl of the Adriatic”, Dubrovnik is the most popular tourist destination in all of Croatia, and the city is also a UNESCO World Heritage Site. Even visiting during peak season, it was still an affordable city. It’s also easy to get around, whether by walking or public transportation. 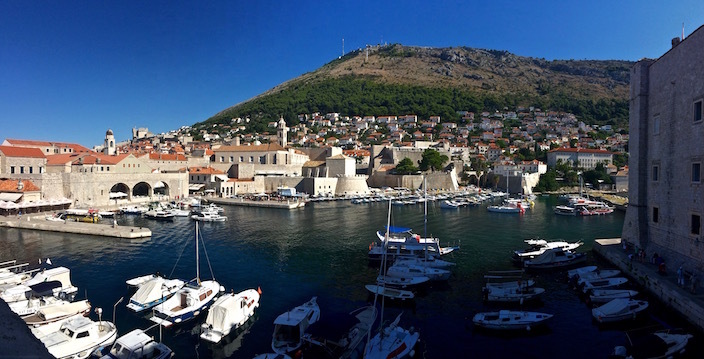 The most popular area is Dubrovnik’s Old Town, Stari Grad, defined by its city walls. Before I dive in, my first tip to you is to bring your student id with you if you have one – no matter where you travel. Bonus points if yours is like mine and doesn’t have an expiration date on it! Within reason, you can still use that id for a while after you’ve graduated to score discounts while traveling. 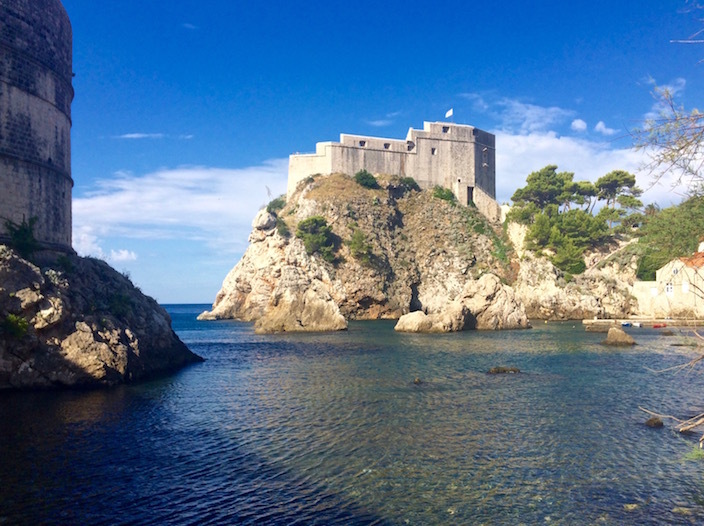 Spending a few days in Dubrovnik is plenty, but there are also a lot of day trips you can do in the area, like the Island of Lokrum, Bosnia and Herzegovina, Montenegro, an island hopping tour, or Cavtat if you do end up staying longer. Check out the Dubrovnik Lonely Planet guidebook to take with you (and get 10% off when you use the code LITTLETHINGS10)! Budget Insider Tip: Arrive right when they open. 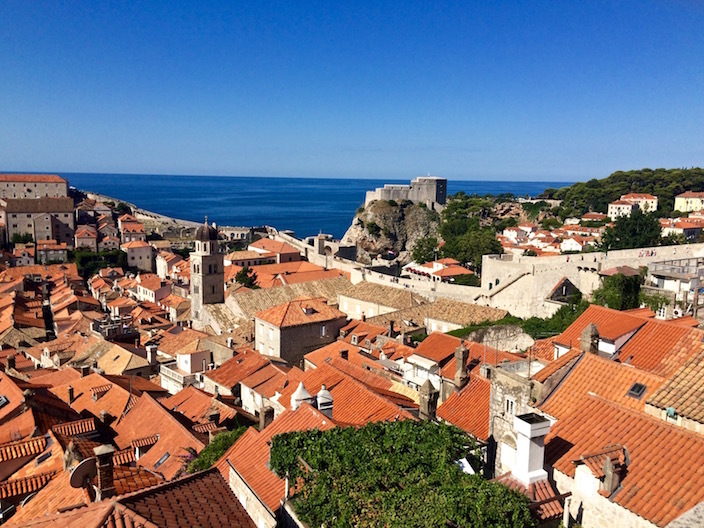 Although it is one of the most popular attractions in Dubrovnik, walking the city walls is absolutely worthwhile. In fact, you can find some of the best views of the city from the top of those walls. To avoid the crowds and the scorching afternoon heat during the summer months, arrive early (ideally right when they open). Because I had my student id card with me, I only paid 30 kuna for my ticket which is less than $5. I believe full price was 100 kuna for a ticket, which is just under $15. When you enter Old Town through the Pile Gate, you can purchase tickets from the office on your right hand side. Especially if you are paying full price for your ticket, it may be worth considering purchasing a Dubrovnik Card. They have 1, 3, and 7 day cards that include entrance to the city walls as well as some museums and galleries. They even include access to a bus pass you can use around the city. Prices start at 135 kuna (about $20) for a 1-day pass if you buy online. I would suggest allowing at least three hours to walk along the 1.2 miles around Dubrovnik’s Old Town and enjoy the breathtaking views. Make sure to bring plenty of water as well. They have a few small shops you can stop in along the walk, but as you can imagine, the water bottles they sell are quite expensive. As a highlight of my trip, I can easily say the heat and the occasional stairs were well worth the effort for the views along the entire walk. 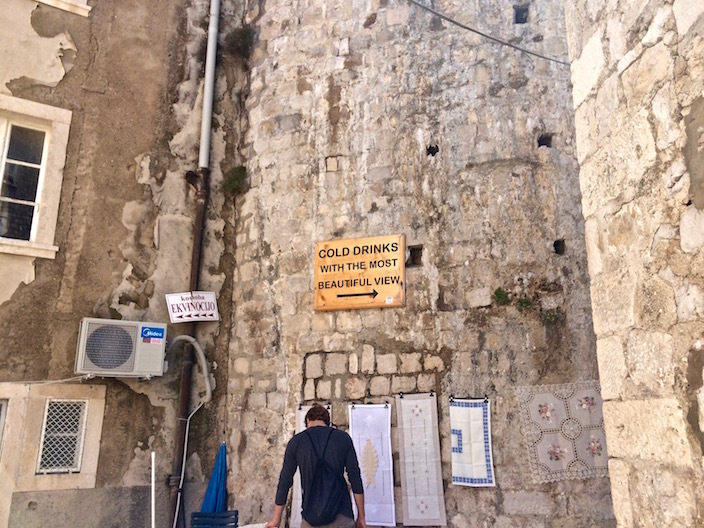 These ancient city walls encircle the city for 6365 feet (1940 meters), complete with defensive forts, towers, and more prepared to protect Dubrovnik. Today these walls serve as a tourist attraction, offering a different viewpoint of the city including the clash of the new improvements with the remains from the recent Croatian War of Independence. Budget Insider Tip: Hike to the top to avoid the cost of the cable car. 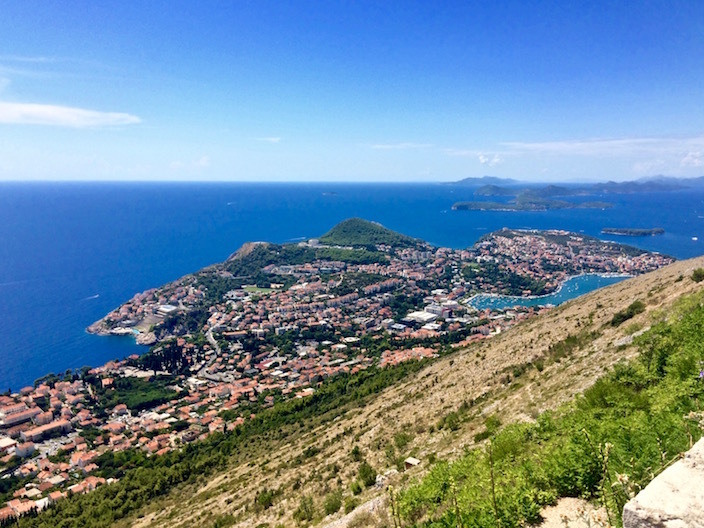 Situated alongside Old Town, Mount Srd is 1361 feet (415 metres) above sea level, offering not only magnificent aerial views of Dubrovnik but also the Island of Lokrum and the Elafiti Islands. 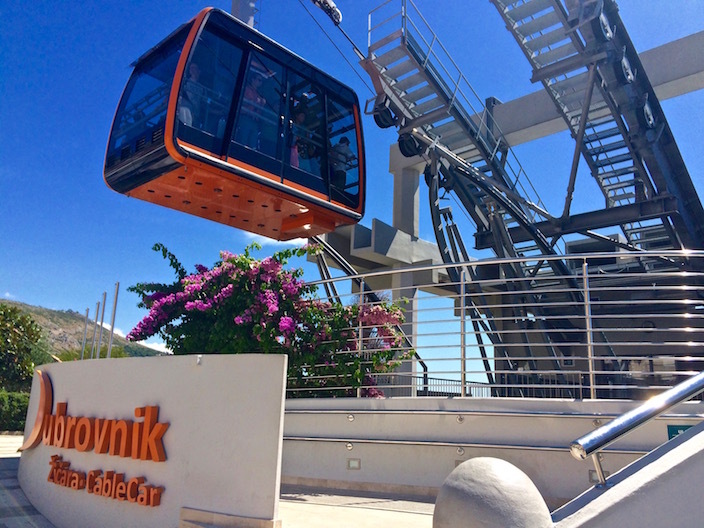 One option to get to the top is to take the Dubrovnik Cable Car, which will cost 108 kuna ($16) for an adult round trip ticket or 60 kuna ($9) for one-way. Check out their website for directions on getting to the cable car. You can also hike if you want to save even more money or if you just like being active, which will take about 90 minutes to get to the top. Once you arrive, there is a gift shop there as well as a bar and restaurant where you can have a drink and enjoy the views or even stick around for the sunset (although prices here are not cheap). If you are into history, continue on outside of the cable car area to visit the Museum of Croatian War of Independence. The building that houses the museum is the former Fort Imperial, which was built in 1812. 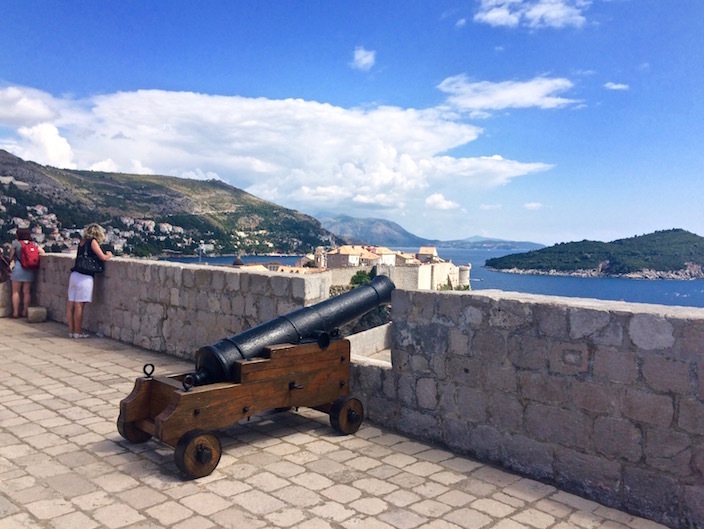 The Napoleonic-era Fort Imperial housed soldiers fighting to defend Dubrovnik during the Croatian War of Independence, or the Homeland War as the locals call it. The cost is 15-20 kuna ($3) to get in, and I would highly recommend it as one of the best museums to learn about the devastating war that took place from 1991 to 1995. 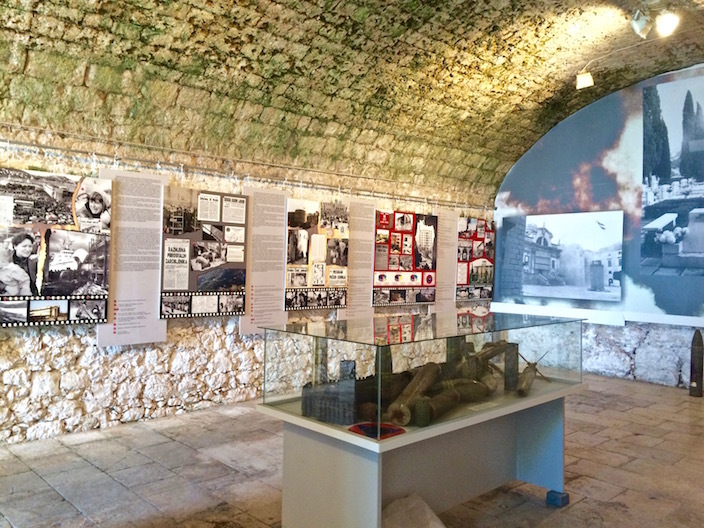 It holds more than 500 photos, videos, weapons, maps, and many other artifacts capturing the history of Fort Imperial and a sense of the agony the people of Croatia went through during those years. In contrast to the tormenting history found inside the museum, you can also find some of the best panoramic views from above the museum. If you go up to the second floor of the museum you’ll see a staircase that seemingly leads to nowhere. 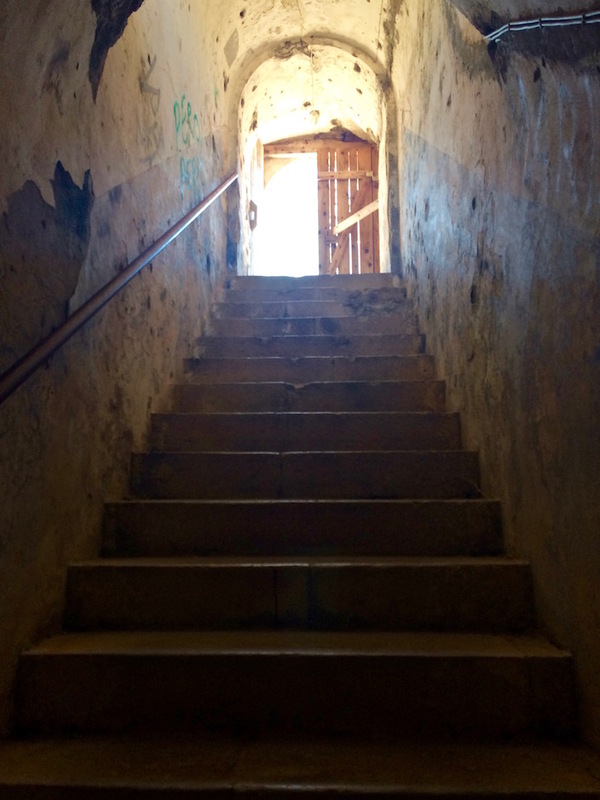 Follow these steps and notice the bullet holes in the stone walls on either side of you. 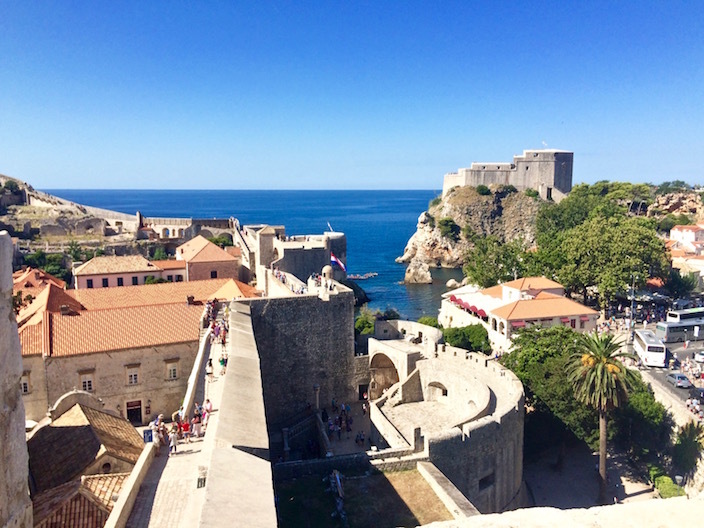 Go through the wooden doors at the top and admire the coastal city of Dubrovnik from atop Fort Imperial. Budget Insider Tip: Always wear/bring your bathing suit and carry a towel with you. Before you completely write me off as being crazy for this one, hear me out. 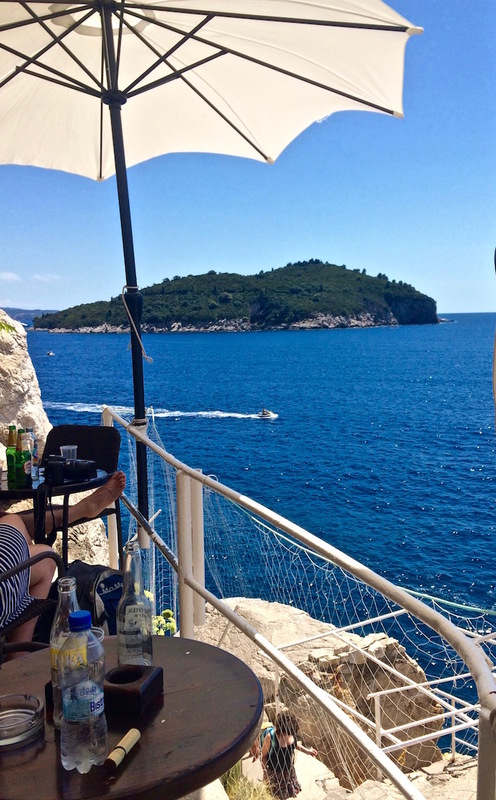 There’s this place in Dubrovnik called Café Buža, or Buža Bar, which is known to be one of the most beautiful bars in the city. It is also known as “hole-in-the-wall” as Buža means “hole”. So as you might imagine, this place is not easy to find. 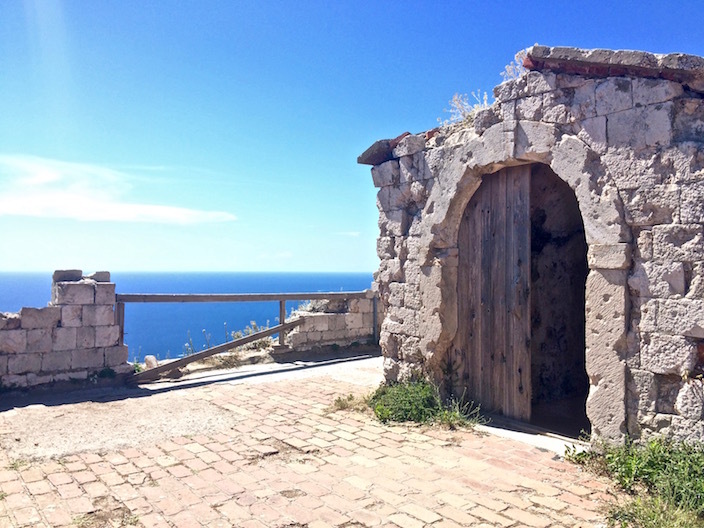 It sits on the cliffs jutting out over the Adriatic Sea, and you literally go through a hole-in-the-wall to get there. Take the baroque staircase up towards St. Ignatius Church, turn left at the top, and then keep walking the opposite direction of the entrance of the church until you see a sign that says “cold drinks with the most beautiful view.” Follow that sign up the stairs, and once you get to the hole in the wall Café Buža awaits just on the other side! This way to Café Buža! 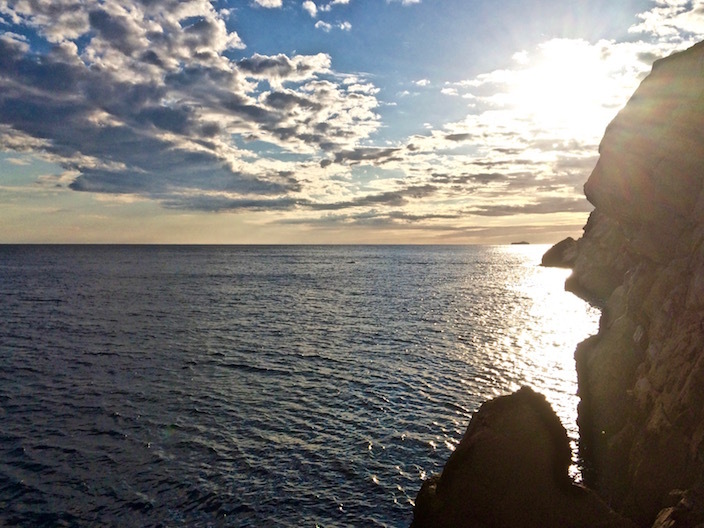 Not only is this a great place for the views, but it also has some of the best cliff jumping. Now, I didn’t come here with the intention to go cliff jumping. 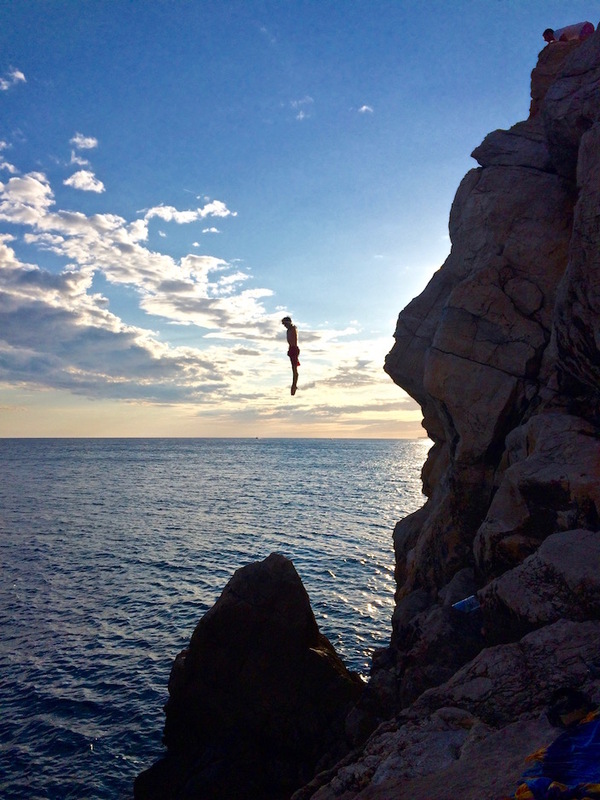 But sitting along the cliffs and watching everyone else jump, I thought to myself, when am I ever going to have another chance to jump off a cliff in Croatia? So in contrast to what my mother always taught me, if I see someone jump off a cliff am I going to do it too? Why yes, yes I am. It may seem crazy, but you’ve got to try it at least once! The less time you spend thinking about it and just do it, the easier it will be. It doesn’t need to be the biggest cliff around – I chose one of the smaller ones and went for it. You never know when your bathing suit and towel might come in handy in Croatia! Please be cautious and use your best judgment when jumping, of course. Accidents can happen, so be aware of the conditions and know there is no lifeguard on duty in this area. If you’d rather sit up at the bar and grab a drink, go for it, but be prepared for ridiculously expensive prices. Either way, stick around and watch the sunset from Café Buža. The contrast of the sun sinking closer and closer to the bright blue waters of the sea along the side of the cliffs is incredible. 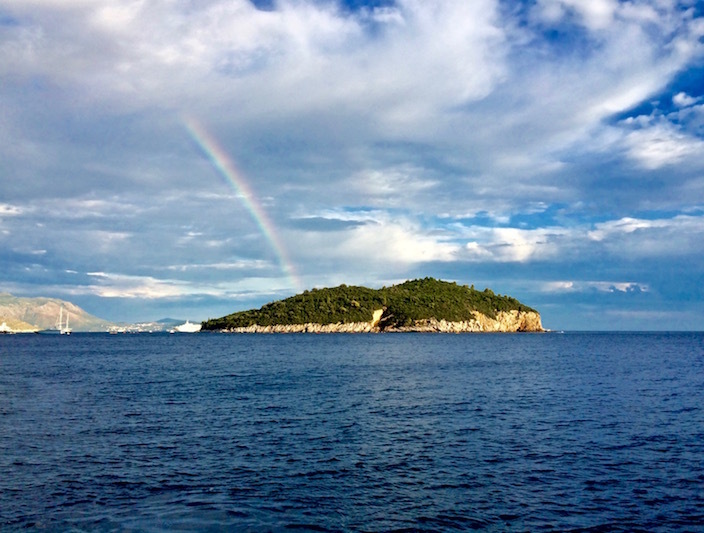 If you’re lucky, you might even catch a glimpse of a rainbow – looks like the pot of gold is right in the middle of the Island of Lokrum! Budget Insider Tip: Do research ahead of time so you have some background without using a guide. Once you get a hold of a map of Dubrovnik, you can see all the churches, museums, forts, etc. throughout Old Town and decide what you want to see. One of my favorites was St. Ignatius Church, as the architecture intrigued me from the outside, and I was amazed upon stepping inside by the dome above the altar with scenes from the life of St. Ignatius de Loyola painted by Gaetano Garcia. 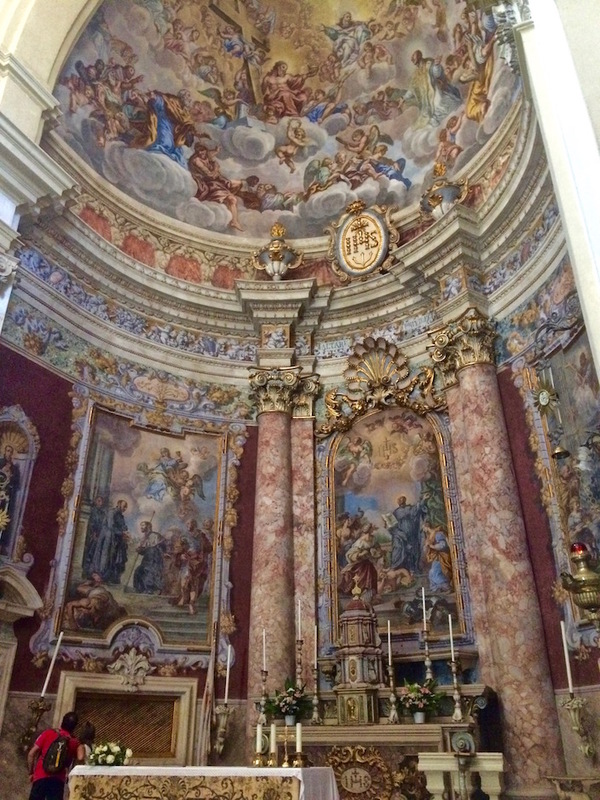 Based on the church of St. Ignatius in Rome, construction started in 1699 and was completed in 1725. Inside and out, it’s a beautiful church that is worth stopping by for a visit. Budget Insider Tip: Use your ticket from the city walls to get free admission. The impressive Fort Lovrijenac, or Fort of St. Lawrence, is the iconic detached structure that sits atop the steep cliffs you’ve seen in a few of my photos already. It lies just outside the city walls near the Pile Gate entrance. If you are a Game of Thrones fan, you may also recognize it as the Red Keep in King’s Landing where many scenes were filmed, including the tournament thrown in honor of King Joffrey’s name day in season two. The fort was built in a quick three months in the early 1000’s to protect the city from the Venetians. I want you to take another look at the photo of the fort above. Can you imagine building that in three months? With the tools they had in the 1000’s? That’s phenomenal! A climb up 175 stone steps will bring you to the entrance of the fort, and the price is included in your city walls tour – so make sure to keep your ticket! At 121 feet (37 meters) above sea level, the views from the fort are incredible and give you yet another viewpoint to admire the remarkable city of Dubrovnik. Budget Insider Tip: Bring your own snacks and relax! 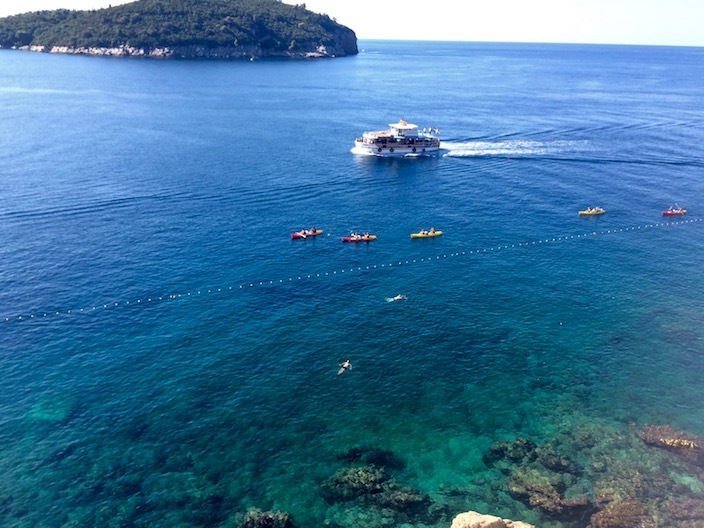 Croatia is known for its many beautiful beaches, and Dubrovnik is no exception. However, because it’s such a popular tourist destination, the beaches can get quite crowded. If you don’t mind that, Banje Beach is one of the most famous beaches in the country and offers amazing views of the city as well as its own café bar and restaurant. 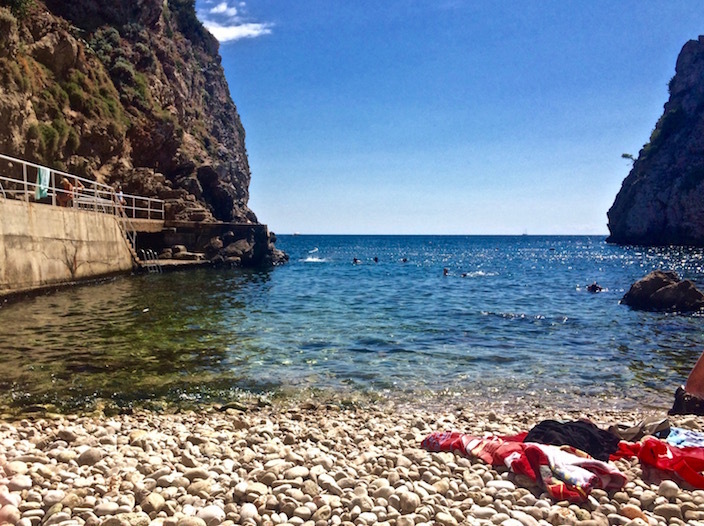 For a more quiet and lesser known beach, I really enjoyed the hidden Šulić Beach, tucked away just behind Fort Lovrijenac. This pebble beach was tiny, but was also way less crowded than the larger beaches in the area. It was the perfect place to spend an afternoon relaxing after kayaking all morning! 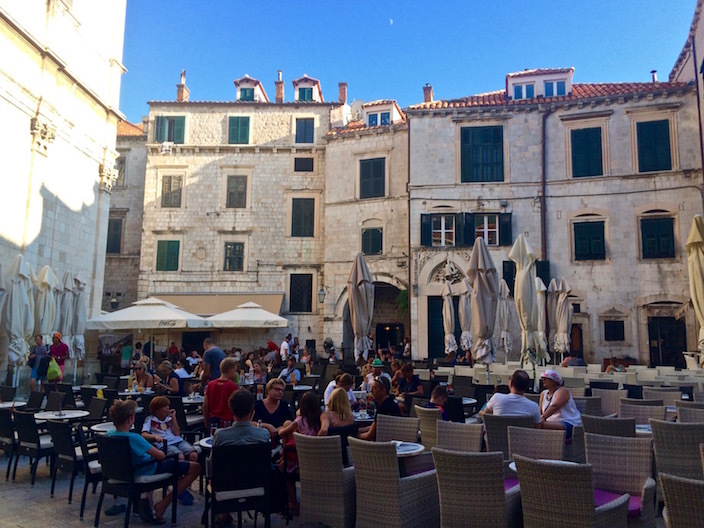 Budget Insider Tip: Book after you’ve arrived in Dubrovnik. This is probably one of the most expensive activities I have in this guide, but I think it’s still worthwhile for the value you get. There are a lot of kayak tour companies not operating legally in the area, so make sure you choose carefully. 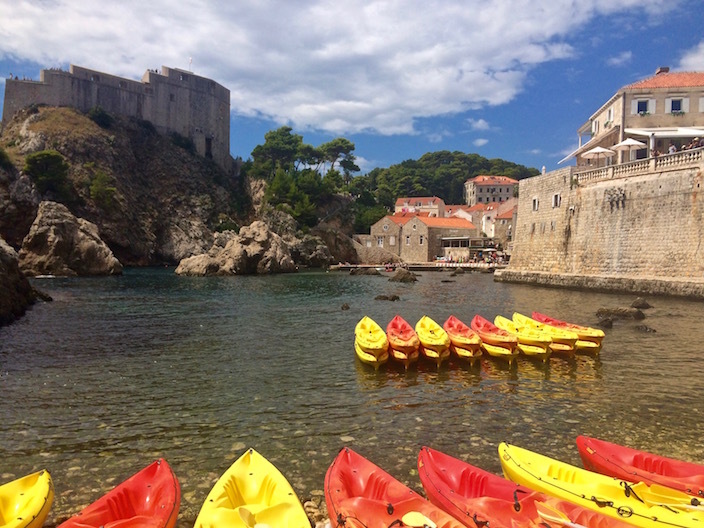 I went with Adventure Dubrovnik, located right outside of Pile Gate. They were recommended by the hostel I stayed at, so you can always ask for a suggestion from the place you’re staying at as well. It’s a great option because you don’t need any experience, although you should be somewhat physically fit. Having water shoes is extremely helpful when getting in and out of the kayak on the slippery rocks, although they are not required. 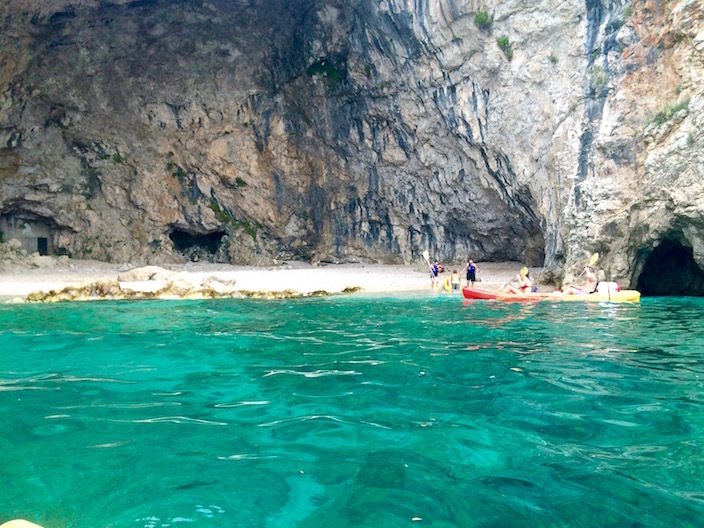 For 230 kuna ($33) you can get a 2.5 to 3 hour kayak tour including instruction, lunch, and snorkeling at a cave. 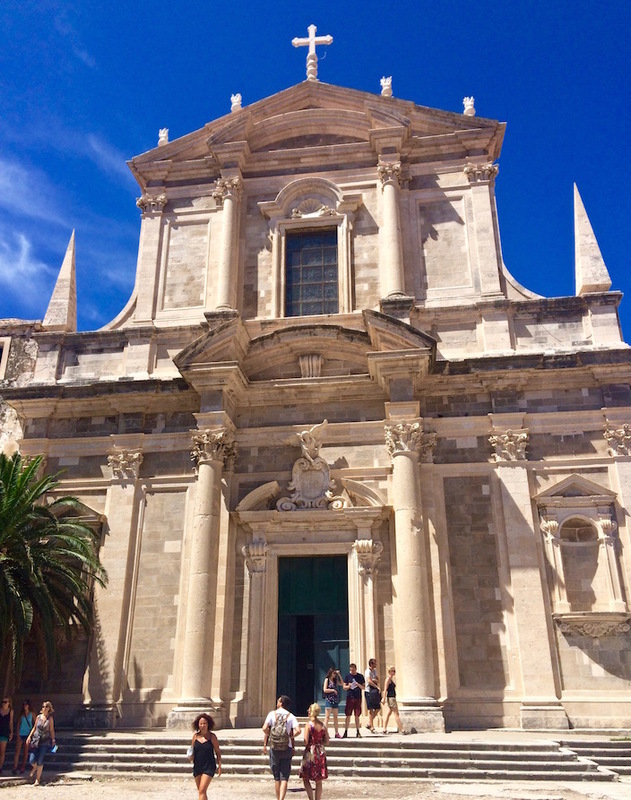 Since they have tours nearly every hour of the day, you are better off booking after you arrive in Dubrovnik so you can account for weather and any other plans you make. There is a large waterproof bucket on each kayak where you can store your belongings, and a smaller one for your phone and/or camera for easy access while you’re out on the water so you can take photos. 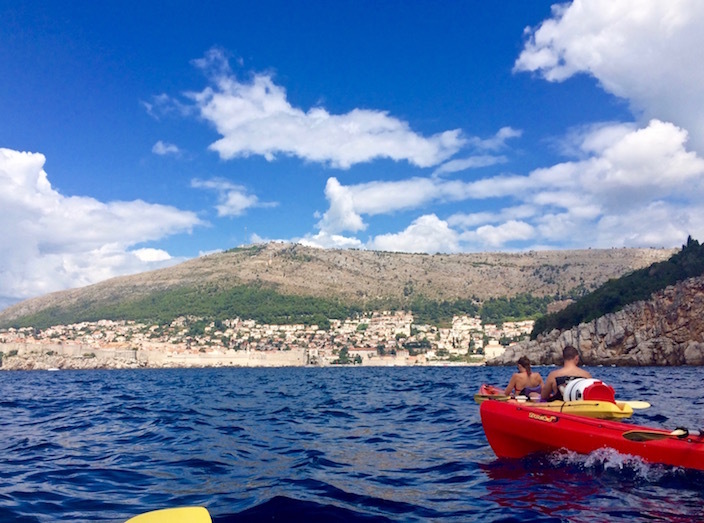 If you walked the walls you’ve seen the city from above, but the kayak tour gives you a new perspective of the city from out on the Adriatic Sea while also learning about the history of Dubrovnik as you paddle along the city walls, around Lokrum Island, and stopping for a longer break at the hidden Betina cave and beach. Here you will have time to eat your lunch and enjoy snorkeling in the clear, blue waters. Budget Insider Tip: Find a place that also has WiFi to double as a time to check in with family and friends. Take your pick of cafe in Old Town and people watch! It’s a perfect time to pay attention to the little things. Sit back and observe the sights, sounds, smells, and voices around you. What are people talking about? What language are they speaking? Are they walking in amazement or do they look like they’ve been in town for a while? See what you can learn about the local culture and the tourists in the area! Budget Insider Tip: Don’t be concerned with staying farther from the center of town – public transportation is great! 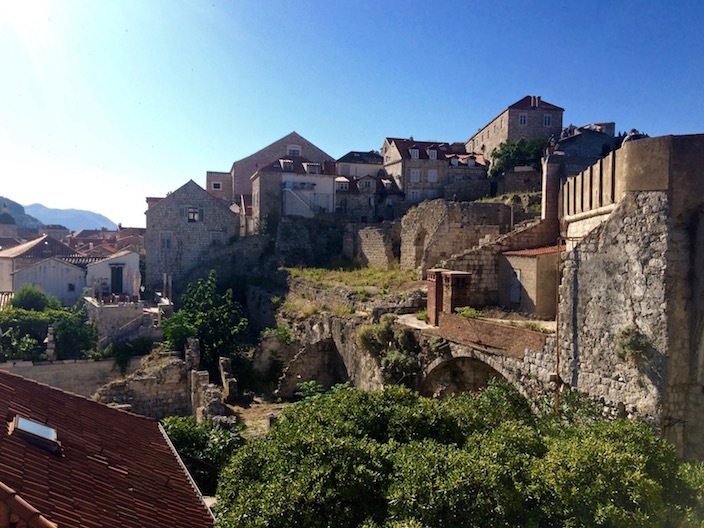 Depending on the time of year, you can likely find nicer accommodations closer to Old Town, but if you are visiting during peak season like I was, My Way Hostel Dubrovnik is a good budget-friendly option. Or at least it was. I stayed there during peak season and paid $35/night in an 8-bed mixed dormitory room. Now it looks like their lowest price is $98 in a 12-bed room.. and that’s during the off-season. Even more of a reason to get to Croatia as soon as you can, because it’s getting more popular (and more expensive) every day! At that price, you’re much better off getting a nice centrally located apartment like Dubrovnik Luxury Apartments, Apartments Festa, or Celenga Apartments. If you are flexible with time and book far enough in advance, these could be very friendly to your budget and are even located right in Old Town. I’ve also found that since my visit, more accommodation options in Dubrovnik are popping up on Airbnb, so be sure to check there as well. If you use that link, new users will receive $40 off your first stay! Want an even better option to book on the cheap, especially during peak season? I’d suggest staying in Cavtat where the prices are much cheaper and you can take the bus or boat taxi over to Dubrovnik. If you’re looking for an exciting night life, you won’t find that in Cavtat, but it’s a lovely destination for when you’re ready for relaxation. I stayed at Apartments Šiljug for $48/night (you can snag a deal for even less if its the off-season!) and would highly recommend it. 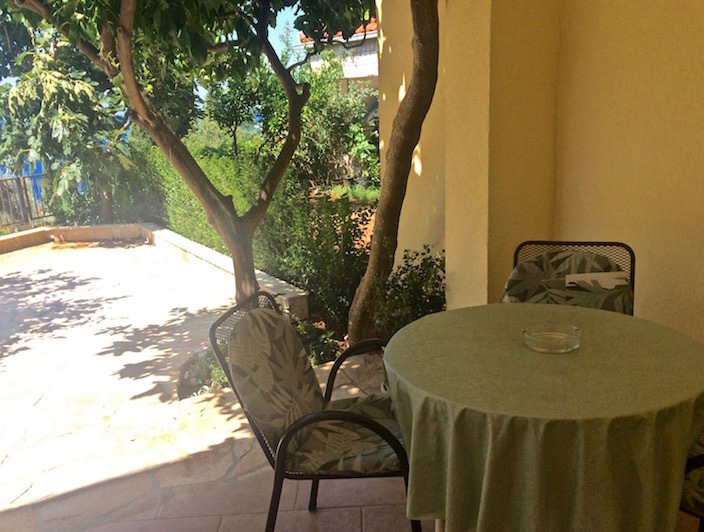 Its quiet location with beautiful views right along the coast and your own private terrace, and its only a 20-minute walk from the center of town. Budget Insider Tip: Buy at the grocery store (make lunch easy with tasty sandwiches), but splurge on a few stellar meals if you can! As expected, buying food at the grocery store is the best budget option for eating. However, I prefer to cut costs in other areas while traveling so I can afford to splurge on a few amazing meals. 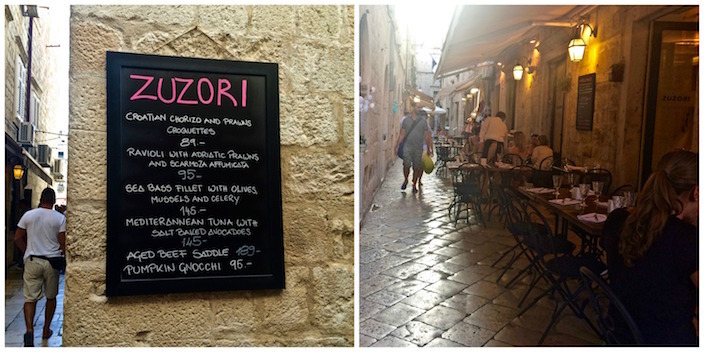 If you stick to just a main course without an appetizer or a drink, a “fancy” dinner in Dubrovnik can actually end up being quite affordable (under $20)! One of my favorites was Zuzori, a restaurant hidden away on one of the tiny side streets in Old Town that I only noticed because of the hot pink lettering on their sign that drew my eyes along to the bottom where it read “pumpkin gnocchi,” and I knew I needed to try this restaurant before leaving. I did return, and thankfully I took that picture of the name of the restaurant otherwise I never would have found it again. They have a creative menu serving Mediterranean food with a modern twist and a strong Italian influence. Sounded like the perfect combination to me! Of course, I ordered that pumpkin gnocchi and was not disappointed. 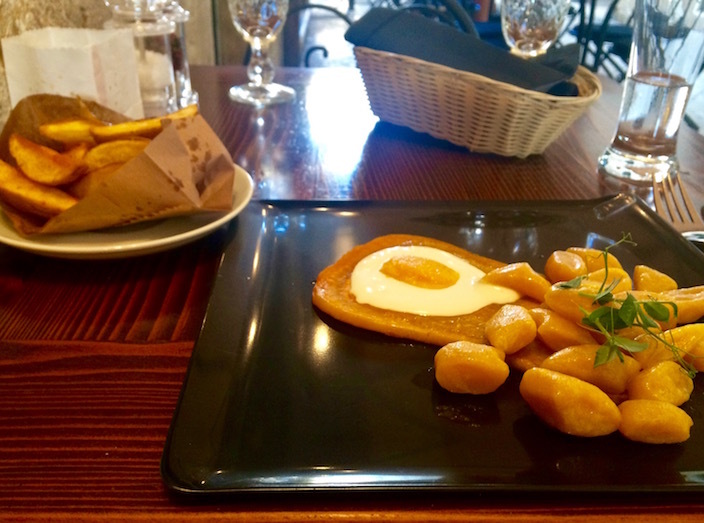 In fact, it ended up being one of the best meals I had in Croatia! The other restaurant I would highly recommend splurging on is the Taj Mahal. Don’t let the name confuse you – this is actually a Bosnian restaurant. 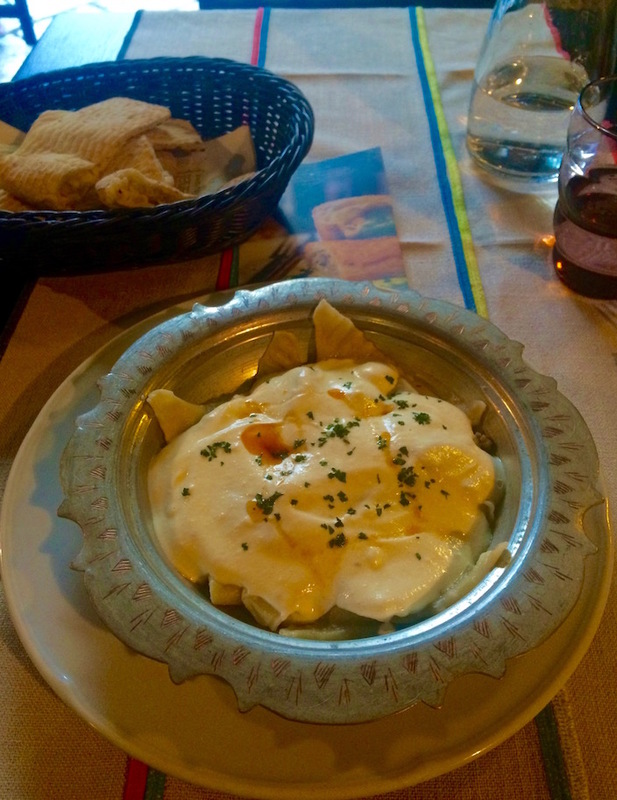 I ordered the Klepe, homemade egg pasta filled with veal meat in a white sauce. My meal was perfection. It was so delicious, I scraped the entire dish clean! I managed to get a table here because I was by myself and I went early, but I suggest booking a reservation ahead of time as they had to turn a lot of people away because they were booked. 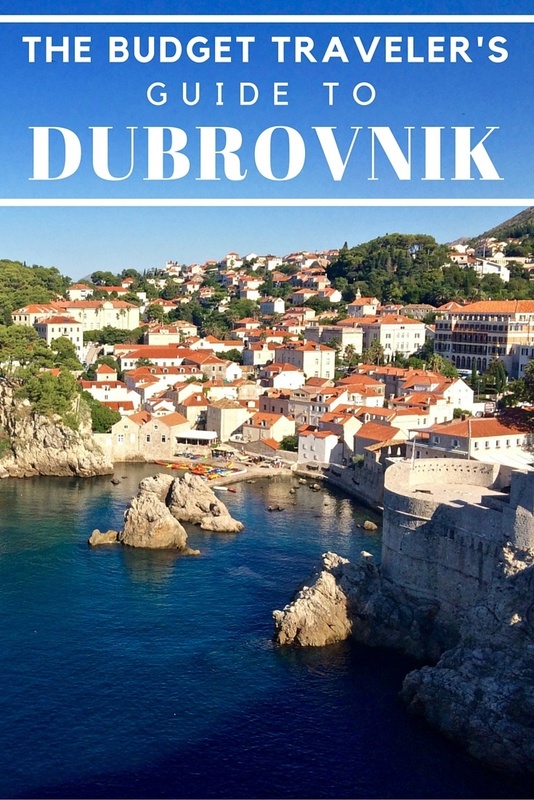 Remember to snag your Dubrovnik Lonely Planet guidebook to take with you (get 10% off with the code LITTLETHINGS10)! 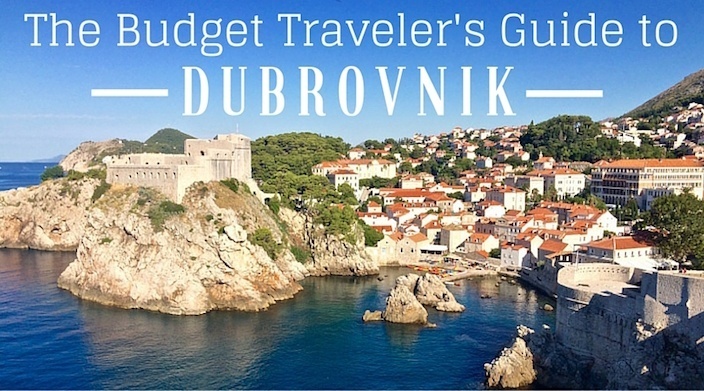 Dubrovnik may be the most popular tourist destination in Croatia, but you can still visit on a tight budget. I wouldn’t wait too long though.. it won’t be like that forever! 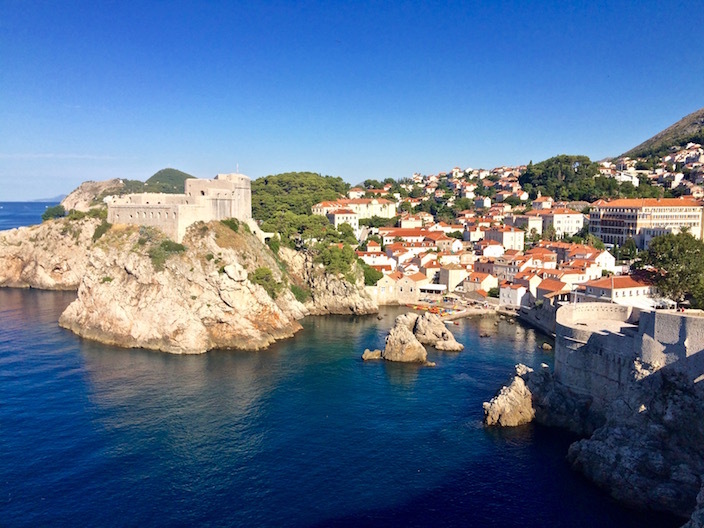 Budgeting aside, Dubrovnik has come a long way since they were ravaged by war less than 25 years ago. The clash of past and present reminds tourists and locals alike that the city is moving on – but the sacrifices made to reach this present state will never be forgotten. Read this and you may wish to amend your article, rather than promote more severe injuries or even deaths. Hi Jon, I appreciate your concern and completely understand where you are coming from, so I have added a disclaimer to that section. My heart goes out to those who have been injured or lost their lives while jumping. Thanks for that. It’s a little like advocating running with the bulls in Pamplona every year, people will still do it, but they need to be aware of the potential dangers before getting hurt, gored or very occasionally, worse. Thanks Kerri! Sad to hear about losing your luggage… but it sounds like Dubrovnik’s charm and beauty made up for it! That looks beautiful! Now I have to add Croatia to my ever growing list of places to visit! Hi! Could you share more details about your stay at the Apartments Šiljug? I am looking to book a place near Dubrovnik for 2-nights, but am feeling completely overwhelmed! Hi Liz! Apartments Šiljug are definitely a good choice that will be friendly to your budget. It’s only about a half hour by bus or 45 minutes by boat to Dubrovnik. The owners are really nice and they answered a bunch of my questions before I got there. They provided detailed instructions on which bus to take and exactly how to get there from Dubrovnik (so I’m sure they’d have great advice on the best way to get to Dubrovnik from there). They also dropped me off at the airport when I left, and I believe they also do pickup. I stayed in one of the studios, and it was very clean and perfect for traveling solo (or with a partner). It was also quiet as you’re in a pretty residential area, and I always felt safe. It’s only a 20-minute walk from the center of Cavtat, and there are a few small pebble beaches along the way where you can stop to enjoy the sun. 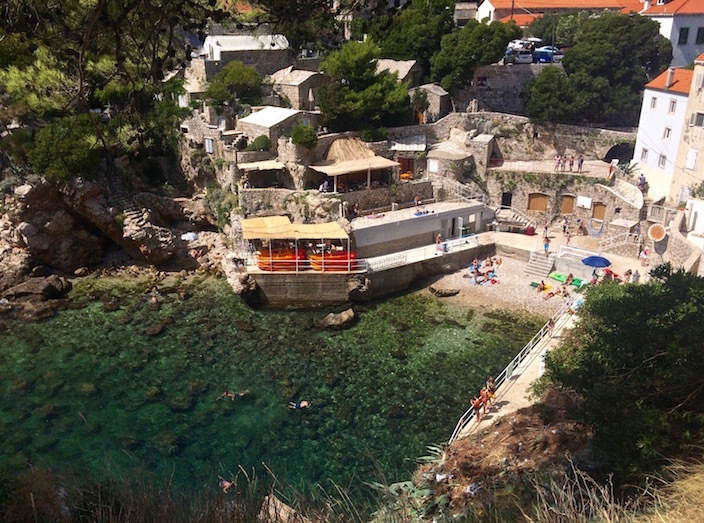 That same area is where you can catch a water taxi to Dubrovnik. Dubrovnik is stunning, Marissa! I became acquainted with it because of GOT and since then I am amazed by this town! It absolutely is! And it’s also a great destination for GoT lovers. Not a bad thing in my opinion. Clearly GoT is not the focus of this article considering it was only mentioned one time, but the way I see it, if a TV show gets someone interested in a destination it is just as good as discovering a place from any other media. 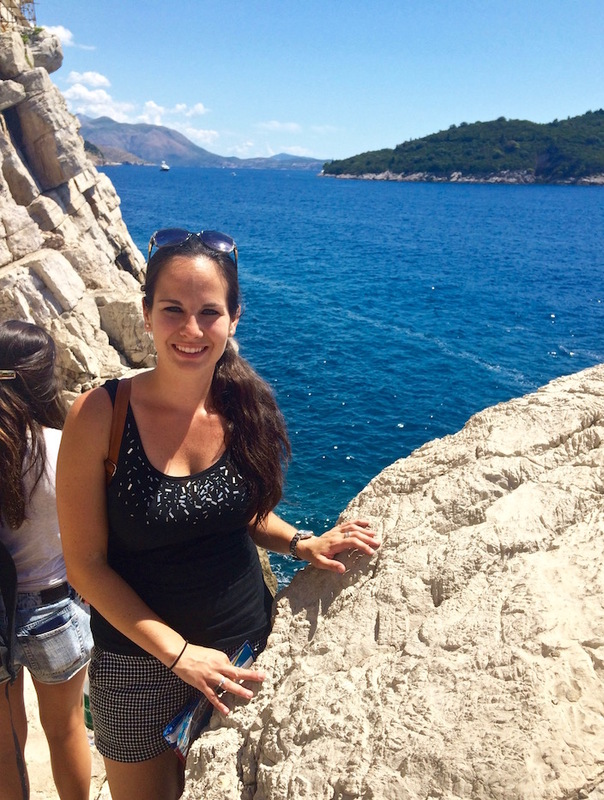 There is so much more to Dubrovnik, and even if travelers are brought to the destination because of a fictitious interest, they can discover everything else the destination has to offer because of that.